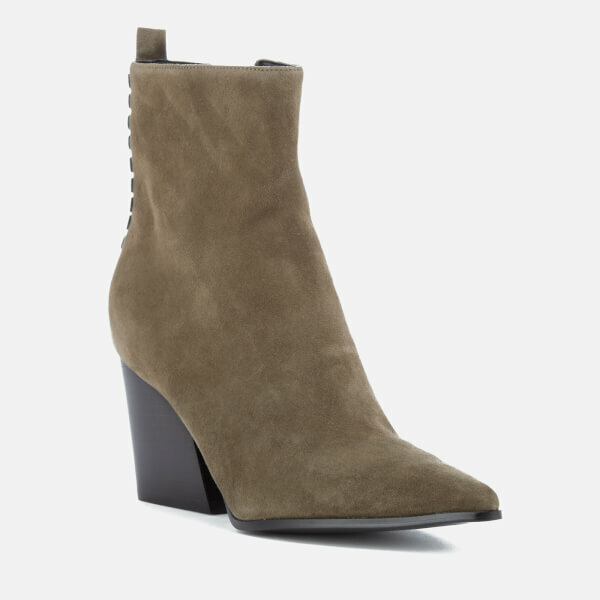 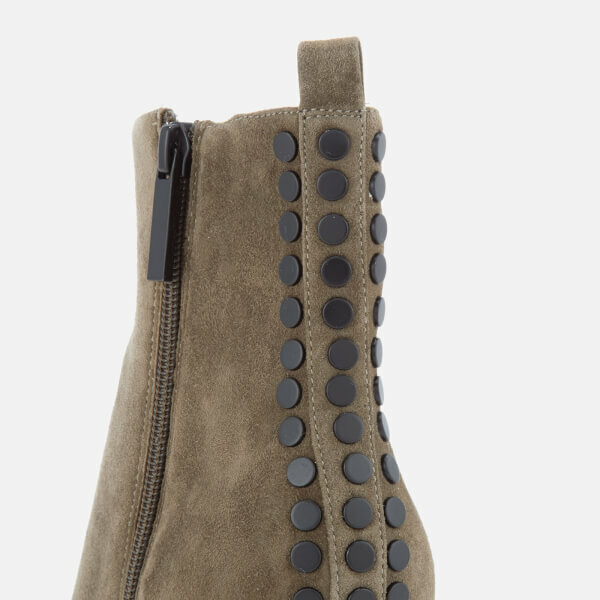 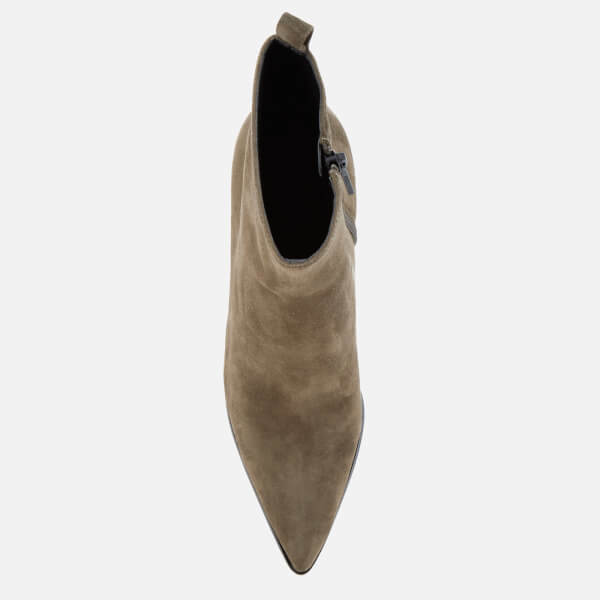 Women's green suede heeled ankle boots from Kendall + Kylie. 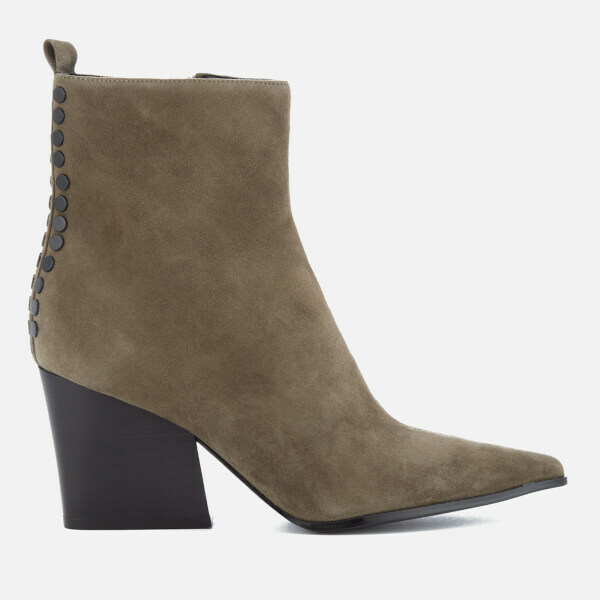 Crafted from luxuriously smooth green suede with a slip-on design, the ‘Felix' heels feature a pointed toe, black studded detail to the heel and a medial zipper. 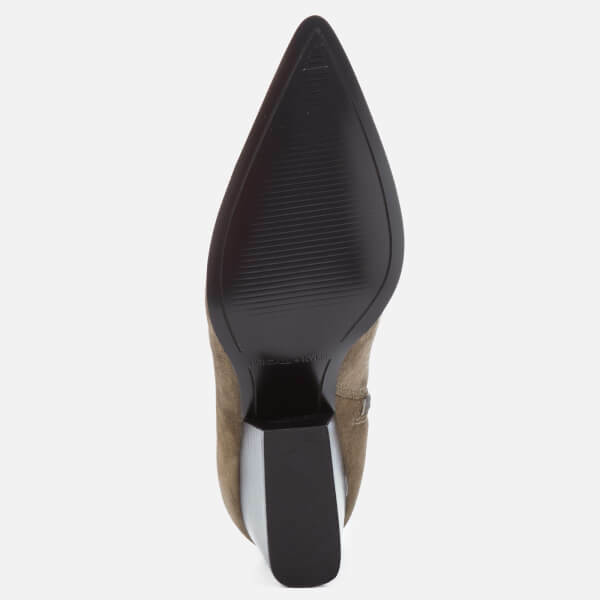 Complete with a stacked block heel, black metal hardware and a heel pull tab.